Airbus Plant. Photo by Vishal Mehra. 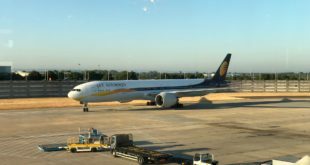 A friend, regular reader, and contributor to Bangalore Aviation, Vishal Mehra reports on an Avgeek’s dream come true – a visit to an aircraft manufacturing plant. 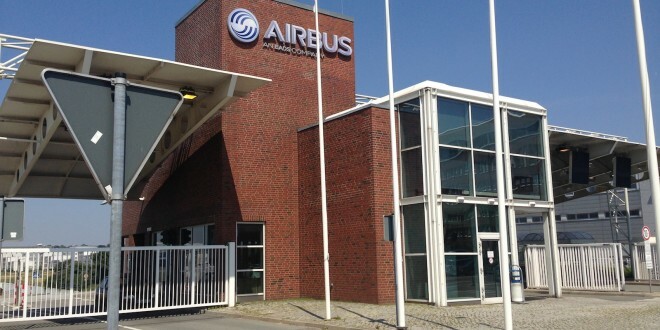 In the middle of July, I went on tour of the Hamburg plant of European airframer Airbus S.A.S. My whole European vacation was planned around this visit. For a confirmed aviation geek this was a dream come true. Hamburg Finkenwerder airport (IATA: XFW, ICAO: EDHI) is the head-quarters of Airbus in Germany. Over 15,000 people work at the facility where final assembly of the narrow-body single-aisle A320 Family aircraft (A318, A319, A320, A321) is done. The facility also produces complete fuselage sections for A380 super-jumbo and executes all the cabin interior fitments and the final delivery painting for the behemoth prior to delivery. Aerial view of the Airbus Hamburg facility. Photo courtesy Airbus S.A.S. The tour began at 10:00 as we were briefed by our guide Moeena about the basic rules, which included a total ban on photography inside the plant premises, staying close to the group and no touching of any kind, as we will be within centimetres of aircraft fuselages. Phones needed to be turned off as well. So I got my trusty notepad out and started scribbling. We were provided a hand held device to hear our guide better. The plant is a massive self sustained city and we had a bus to ferry our group of 12 around the facilities. The bus entered the facilities via a long tunnel which is humorously referred to as the only tunnel in Hamburg without traffic jams. As we exited the tunnel we saw huge hangars on our left and office buildings on our right. The facility boasts of a 3.3 km runway along the river Elbe. The A300-600ST (Super Transporter) also called Beluga unloads aid for Katrina victims. Photo by Airbus. On our way to the first stop, we spotted one of the five A300-600ST (Super Transporter) Belugas of the Airbus fleet. 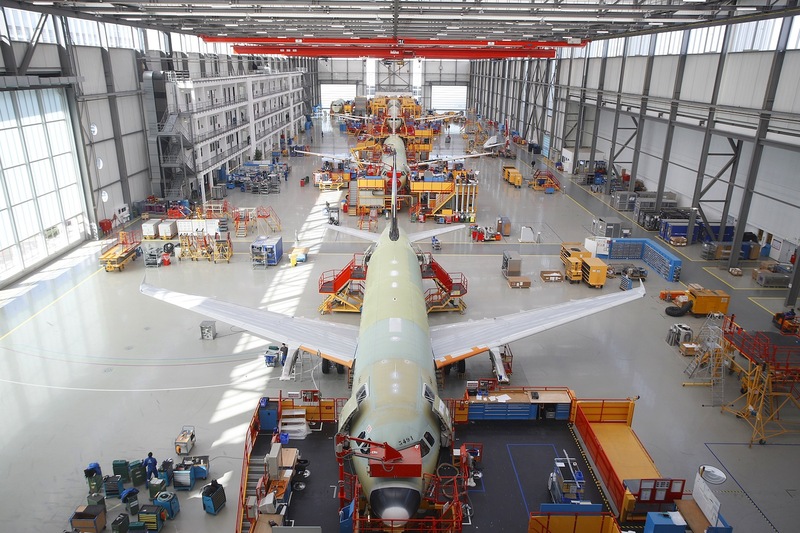 These modified A300s transport components including fuselages and wings of the A320s from various Airbus facilities across Europe to Hamburg for final assembly. They look frighteningly massive when viewed from close quarters. Another interesting sight was of the “Super Guppy”, the only Boeing aircraft allowed in any of the Airbus facilities. The “Super Guppy” is a large cargo aircraft, built on the fuselage of the C-97J Turbo Stratocruiser, the military version of the Boeing 377. Our first stop was a small sized independent structure, where we were shown the introductory corporate video.. The same room also boasted of a wall featuring models of the entire Airbus product range, from the A320 family till the A380, as well as the A350-800, -900 and -1000. One of my all time favourite aircraft, the A340 was also missing from the display, as Airbus has stopped production of this aircraft. I am guessing the A330neo will be going up on the display soon instead. Moeena also spoke briefly about the A350. During our discussion I tried comparing it with Boeing’s 787 and clearly she wasn’t thrilled about it. The Hamburg plant manufactures and equips the forward and rear fuselage sections of the A350, but the A350 hangars in the plant were completely out-of-bounds for us. An interesting trivia for fellow avgeeks: Inside Airbus, the A350 is also known as the BLACK aircraft because over 53% of the aircraft is made of carbon composites. As we exited the building I saw four A380s parked in the distance. Two of them for Emirates, one for British Airways and one for Qatar Airways whose CEO Akbar Al-Bakar has publicly and vociferously voiced his displeasure over the quality of interior fittings leading to constant delays in the delivery of his airline’s A380s. During our walk to Hangar #9, we learnt how different parts of an Airbus aircraft are sourced from the United Kingdom, Germany, France and Spain. 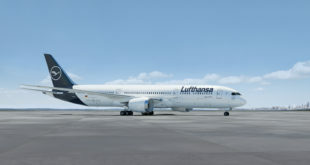 The nose, cockpit and centre-fuselage section with the wing-box is manufactured by the French, wings and landing gear are made in the UK, tail and doors in Spain and the main fuselage is made in Germany, and final assembly is done in Toulouse (France), Seville (Spain) or Hamburg (Germany). As we reached the massive hangar #9, it was surprisingly quite. The production shift is usually from Monday through Friday and we were touring the facility on a Saturday. This is where members of the Airbus A320 family are raised from mere pieces of metal. There are three enclosed assembly lines and all variants of the A320 Family are completed here. Airbus A320 final assembly line at Hamburg, Germany. Airbus photo. Airbus follows a moving assembly line which is adopted from the automotive industry, though at a much slower speed. The A320 assembly line moves at a speed of one metre per hour. Each aircraft has a bill of materials consisting of about three million parts. Many of these parts are custom for each aircraft. Getting the right item at the right time at the right place on the moving assembly line is a logistical challenge of monstrous proportions which Airbus handles with aplomb every day. I spotted one of Indigo’s upcoming A320s on the line. Each plane carries a manufacturer serial number (MSN) which is unique to the airframe for its life. Aircraft registrations can change over the life of the aircraft, but not the MSN. In this case it was MSN 6247, bearing a test registration of D-AVVQ. Wonder when this aircraft will join the IndiGo fleet? We next walked to Hangar #14, housing the final assembly line of the A320 Family. Millions of rivets are used in the manufacture of each A320. Rivets are first heated to over 400 degrees Celsius and then frozen to make them strong yet flexible. To ensure highest reliability, these rivets have to be used within two hours after which they have to be discarded. On the line I spotted two A320s for American Airlines, and one each for China Southern, Lufthansa and JetBlue. I even had a discussion on the ram-air turbine or RAT, a propeller driven electrical generator that activates and provides emergency power to the fly-by-wire cockpit in the event of the very rare dual engine failure. We were then ushered on to the bus waiting outside the hangar to take us to the main event of the tour, the A380 hangar. If Hangar #9 is huge, and it is, the A380 hangar shall be called ginormous, with a towering ceiling about seven floors above the factory floor. The entire hangar sits on reclaimed land. In this hangar both the forward and rear fuselage sections of the A380 are completely built with all systems integrated so that it is ready for “plug-in and complete” at the final assembly line (FAL) in Toulouse, France. This speeds up the A380 manufacturing process. The completed fuselages are shipped to France on a purpose built roll-on, roll-off (RO-RO) ferry. I came across several A380s in this hangar, including MSN181 for Qatar, MSN182 for Emirates, MSN180 for Etihad and MSN179 for Asiana. 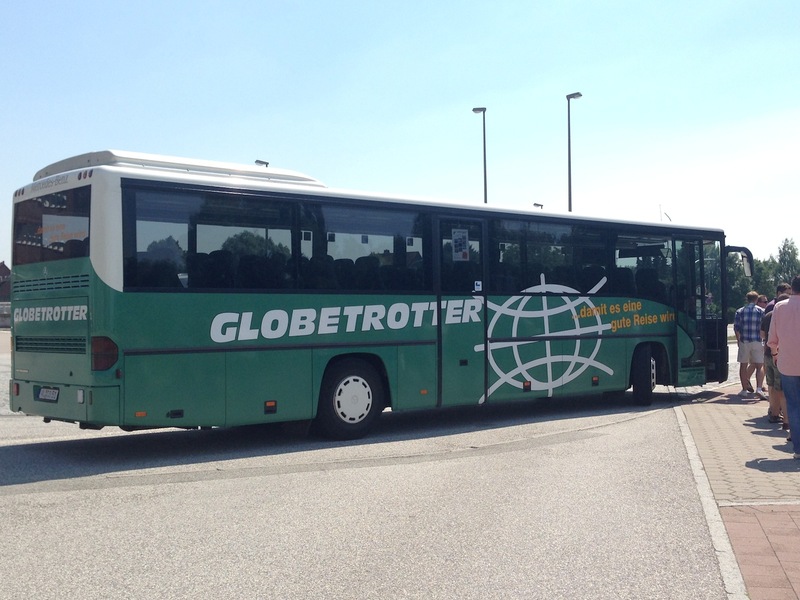 Globetrotter tours which exclusively offers the combo tours of A320 and A380 plants at Hamburg. Photo by Vishal Mehra. On the bus ride to Hangar #242, we passed Hangar #261 which houses A350 fuselages. The entire bus let out a collective sigh since this building is out of bounds to visitors. Airbus does the complete interior furnishing work for the A380s in Hangar #242. There are a total of six sub-hangars dedicated to the A380 interior fitments which take about 30 to 35 days per A380. The aircraft arrive in this hangar after undergoing a 10 day long paint process – nine days of preparation and one day for the actual painting by 30 persons of the 3,150 sq. metres (approx. 34,000 sq. feet) surface area, which consumes over 500 kgs. of paint just for a plain white livery. Interior fitment is every thing from carpets, to seats, to galleys and everything in between. The hangar temperature is kept at 20 degrees Celsius, which is best for assembling. Each A380 consumes anywhere between 47 to 60 tons of interior materials depending on the customer specifications. Each item is handled with white gloves since the slightest scratch or smallest dent will result in a rejection by the eagled eyed inspectors of the airlines when they take delivery. Besides spotting another A380 for British Airways inside of the hangars, I spotted a strange looking tail design of an A380. The registration number of the aircraft was MSN166. Moeena had absolutely no clue about the airline and we did some wild speculation to quench our thirst. Some detailed research on Twitter and Facebook after the tour yielded that the aircraft belongs to Etihad Airways which will be sporting the new special yet secret livery called “Desert Diamond”. (See a photo of the new tail here). Hamburg is also the final acceptance and delivery centre for A380s for customers in Europe and the Middle East. Customers from the Americas, Africa and Asia are delivered from Toulouse. With that, our tour came to an end after three odd hours and we were bused to the main gate of the Airbus Periport. My selfie outside the plant. I thanked Moeena for the wonderful experience and in return I was allowed to click a selfie, OUTSIDE the main facility 🙂 This was truly an Aviation geek’s plane dream come true and I highly recommend it to anyone in the area or heck even outside the area. Make adjustments to your trip like I did and I promise you won’t forget it. 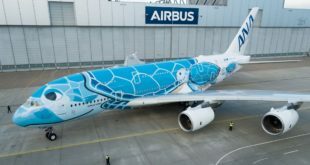 Airbus allows guided tours of their plants in Toulouse, Bremen and Hamburg. 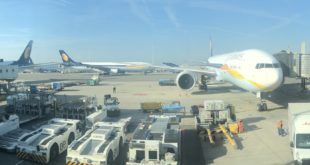 I took the English A380 Combi Tour which included bus transfers and of course the A380 Hangars visit and paid 23 Euros all inclusive. In my personal humble opinion, that turns out to be a steal, considering the amount of learning during the tour. As the facility is highly sensitive due to the nature of the industry, visitors are requested to provide complete details like Name, Address, Date of Birth, Place of Birth and Nationality before the tour, to get required approvals from Airbus Security/Management. You would also have to fill a name list during the finalization following the booking process. For more information on how an Airbus aircraft is built visit this page on the Airbus website. Information about the tours are at the bottom of the page. Feel free to reach out to me in case of any other queries as well. Note: I paid for my complete trip and this tour. The opinions expressed in this piece are completely mine as well. Next Spicejet pre-tax loss narrows to Rs 124 crore in Q1 FY2015. Company says due to restructuring.